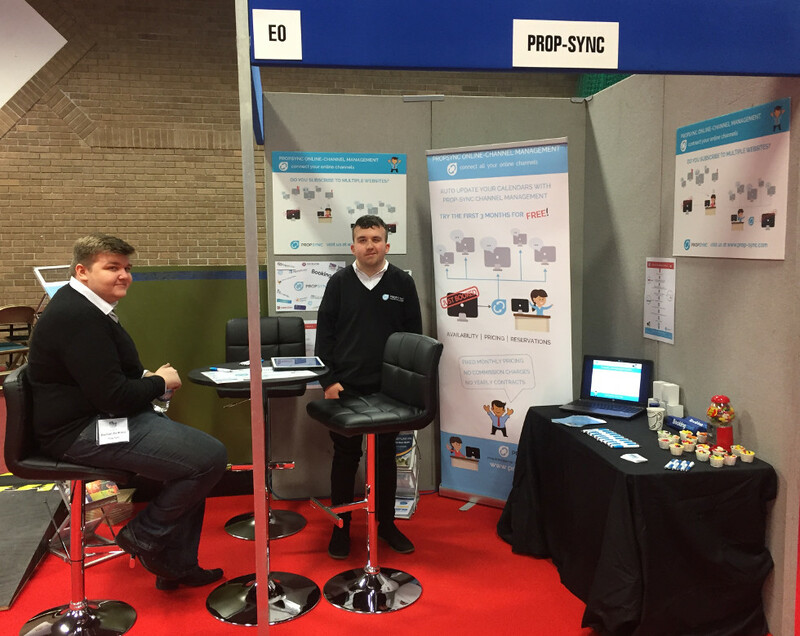 We've just returned from a couple of days at the B&B Show in Bristol where although storm Doris tried to disrupt, we've come away from the show having enhanced relationships with other exhibitors and had some quality discussions with property owners. With the ethos of Prop-Sync in supporting everyone, we found a pub owner that could benefit from Stay in a Pub and another property owner possibly able to benefit from one of our other up and coming partners too. We find it a real pleasure working with our partners in finding them custom as well as finding property owners their best option. During this event, our new chaps (as seen in the photo) have now experienced what it's like to be exhibiting and they did a great job in talking with property owners (and eating the free cake from the afternoon tea party!). The guys also experienced a seminar each which helps bring them up to speed on the kind of problems property owners have to contend with. Admittedly having eaten so much gorgeous cake myself, only to have supported Farm Stay of course, this isn't helping my fight to slim up either! Anyway, all in all, a great time, meeting great people and having great discussions. Now it's time to take those conversations to the next stage and make even more happen. Thanks to all for a good time.